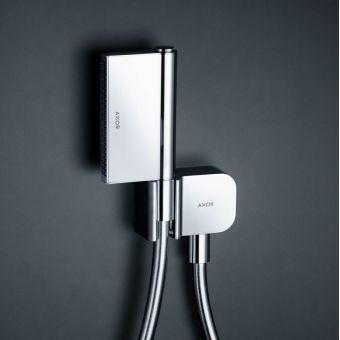 Minimalism and good practical design are at the heart of the AXOR One collection. 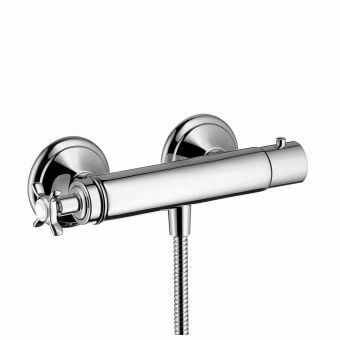 AXOR used London based designers Edward Barber & Jay Osgerby (The famous designers behind the London 2012 Olympic & Paralympic torch) to produce their showering masterpiece. 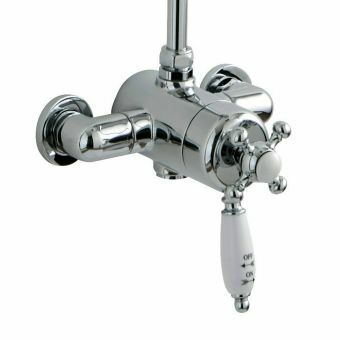 Unlike showers with fiddly knobs and usable controls, the AXOR One has been designed with simplicity in mind. The primary control of the unit is with paddles. 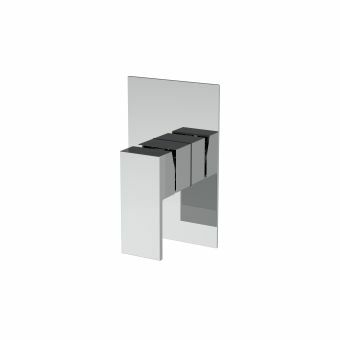 You may think from the images that this plate is flush to the wall, but it does actually sit proud of the wall, so you can switch the show on and off with the flip of a paddle. 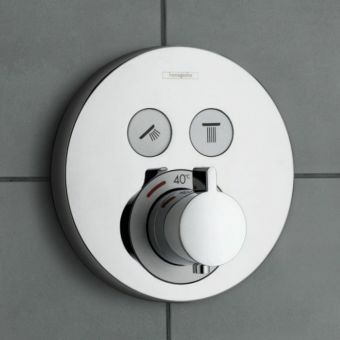 This completely intuitive design means that anyone, even those with mobility issues can easily operate the shower. 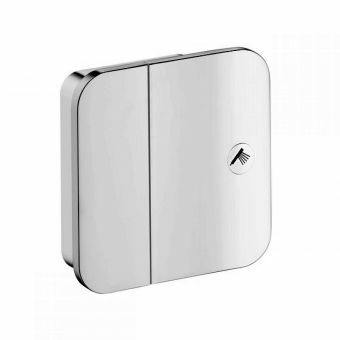 This shower comes with the option of different outlets, simply this means how many shower heads, fillers or body jets will you be using the shower. 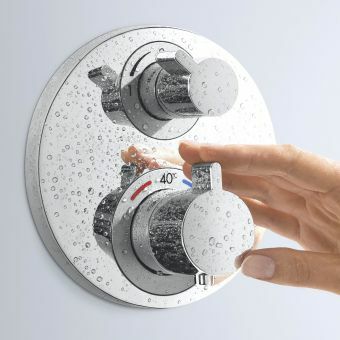 So, for instance, you may have just a fixed shower head, you would just need 1 outlet. If you then added a handset this would then be 2 outlets. 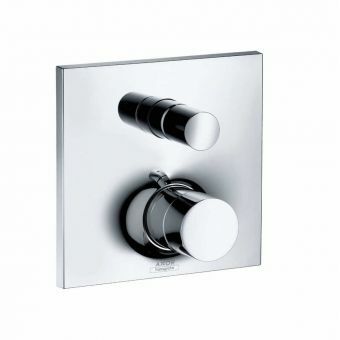 Let's say you want to use your fixed head and handset in your bath and you wanted to use a Hansgrohe Exafill to fill the bath, you would then need 3 outlets, but all 3 could be powered by your AXOR One Shower. 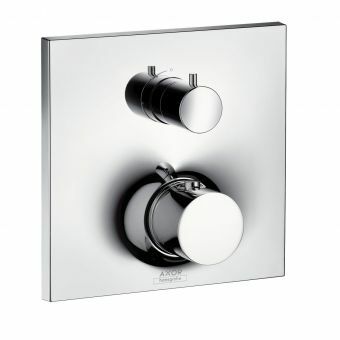 AXOR One is not just a chrome shower. 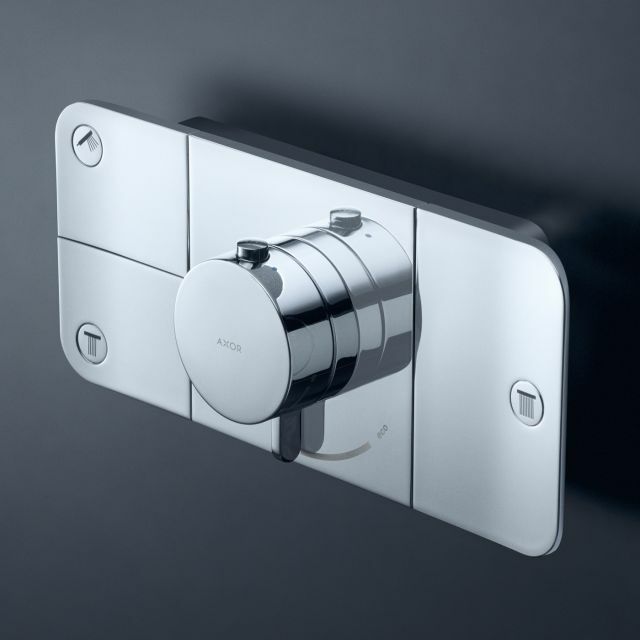 As a special order, it can be ordered in a variety of finishes to match the rest of the AXOR collection. If you are interested in any special finishes, just let our sales team know.